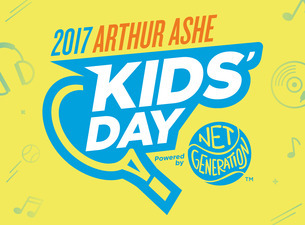 Bring the Kids to Arthur Ashe Kids Day (Sat, Aug 26)! This is an excellent deal for the family on a budget who want to see the top tennis stars at Arthur Ashe Stadium on Sat, 8/26/17. Currently, standard tickets are regularly priced at $10 and $25 when purchased at the US Open box office. *Tip: Any extra tickets left can be sold here. Past performers: Flo Rida, Shawn Mendes, Ariana Grande, Justin Bieber, Alessia Cara, Demi Lovato, Rihanna, Fifth Harmony, Jonas Brothers, Britney Spears and Backstreet Boys have rocked the house at AAKD. This year's performers will be announced soon! Tennis legends have included: Venus and Serena Williams, Roger Federer, Novak Djokovic, Rafael Nadal, Maria Sharapova and Andy Murray, joined by celebrities including Ansel Elgort, Alec Baldwin, Nick Cannon, John Cena, Ellen DeGeneres, Will Ferrell, along with Michelle Obama.